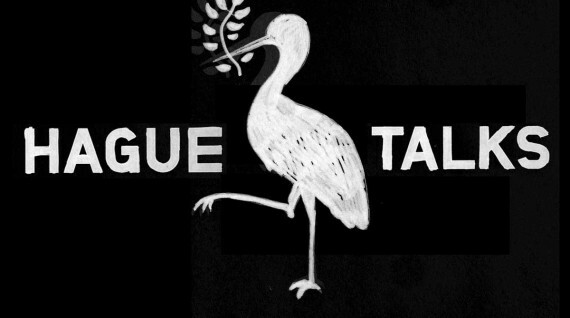 HagueTalks is a worldwide, interactive debate series on subjects of peace and justice. It is an initiative of Hague project Peace and Justice and is being organised in cooperation with Humanity House. HagueTalks is a meeting place for critical thinkers who want to create motion on themes as peace and justice. Enhance the discussion with your ideas and opinions. HagueTalks: How can media contribute to human rights? Hague Talks: Is there justice for survivors of gender-based violence? HagueTalks: How can we invest in sustainable peace? How do I work for Peace and Disarmament? Justice in Mali: Can Informal Systems work? Lgbti- and gender rights: Is there worldwide progress? How is climate change affecting global security? Peace thanks to international criminal justice. How can we do better? How do we break social taboos? HagueTalks: How to get inclusive justice? HagueTalks: How to support victims of war? HagueTalks: What is truthful reporting? Victims of international crimes: what can we learn from the Latin American experience? Roma, Sinti and travellers: socially excluded? HagueTalks: How to settle Disputes Peacefully? Close encounters, hopeful ideas, movies and discussions on the future of the United Nations and the world! Come and join us for this very special HagueTalks edition. Two inspiring speakers sharing their knowledge and insights on cyberspace and cybersecurity: professor Mary Aiken and Sjoerd Louwaars. Make sure to register soon, as seats are limited!